Kombucha, a fermented black tea often referred to as the “champagne of life,” is marketed as a wellness panacea for everything from bodily cleansing, to improved energy and digestion, to a cure for cancer. Frequently called “tea fungus,” Kombucha was reportedly first consumed in Central Asia around 220 BC, and home brewing in health food circles in the United States was reported in the early 1990s. Kombucha is made by combining black tea, sugar, and a symbiotic yeast and bacteria combination often confused for a mushroom. During the 7-14 day fermentation process, the tea develops several organic acids, active enzymes, amino acids, polyphenols, and other compounds that provide its reported antioxidant and antimicrobial effects. 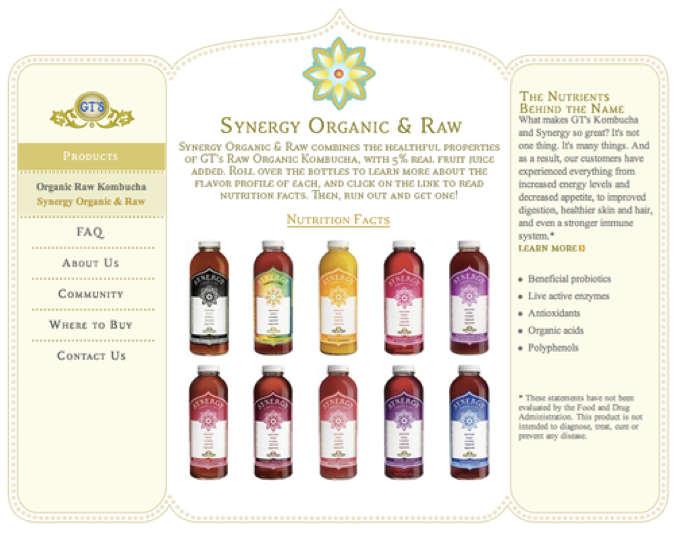 Kombucha hit the commercial market in the early 2000s, and today, consumers can choose to brew their own by purchasing cultures online or can take the easier route of spending about $4 for a bottled product. However, the beautiful packaging of Kombucha hardly prepares the consumer for the putrid smell of fermented vinegar and chunks of floating “mother mushroom” bacteria. Upon stomaching your first bottle, the message seems to be: anything that smells this bad must be good for me. The health claims associated with Kombucha cite the historical use of the tea as evidence of its efficacy, thereby feeding the social power of the product. A blogger known as “The Food Renegade” focuses on the detoxifying properties of the tea, claiming that the drink is “rich in the enzymes and bacterial acids your body produces and/or uses to detox your system, thus reducing your pancreatic load and easing the burden on your lives.” Stuart Thomson, director of the online Gaia Research Institute, published a “scientific heath literature review” about Kombucha tea, claiming that Russian research dating back to the 1940s supports the tea’s use against aging and the associated comorbidities of rheumatism and gout. 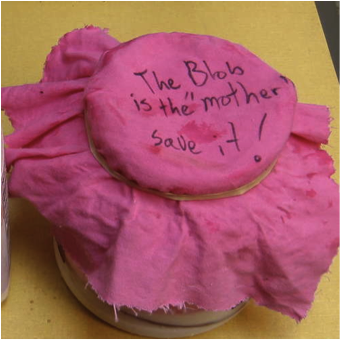 “GT Dave” himself, the founder of GT’s Kombucha and a self-proclaimed “lifelong practitioner of health,” claims Kombucha all but cured his mother’s breast cancer. The truth is, she was diagnosed and received both chemotherapy and radiation to treat her cancer, but she alludes that it was her daily Kombucha habit that “kept her strong” throughout treatment. Kombucha has gained popularity and power through these claims, even though the science behind them is limited or non-existent, particularly regarding human studies. A 2000 review compiled a list of the acetic acid bacteria and yeasts identified in tea fungus, but considering that each may be brewed differently and from a different “mother” source, metabolite concentrations are variable. Additional research on Kombucha has included studying hepatoprotective properties, protection against phenol toxicity, gastric ulcer healing, and oxidative stress from environmental contaminants. However, each of these studies was conducted with mice or rats. Outside of historical personal claims, there are no scientific trials studying the effects of Kombucha consumption on humans. While you may think that Kombucha devotees would fear a study discounting their magic elixir, true believers would welcome solid scientific evidence picking up where the Russian studies of the early 1940s left off. The theory as to why the tea hasn’t been studied further is a simple one: economics. “No one in the drug industry stands to profit from researching a beverage that the average consumer can make for as little as 50 cents,” “The Food Renegade” says. Without an interested party to fund the research, the effects of Kombucha consumption remain untested. While research to support the myriad of health claims associated with Kombucha is scarce, there are case studies reporting on the dangers of toxicity and infection related to Kombucha consumption. Reports of stomach upset, allergic reactions, hepatotoxicity and metabolic acidosis have been published, but the mechanisms as to why they occurred are still unclear. What seems most obvious is that when brewed at home, there are a multitude of things that can go wrong, such as introducing the wrong bacteria, over-extending the fermentation time, or allowing lead to leach in from storage vessels. The greatest challenge in the safety of Kombucha is that the fermentation process is complex and not clearly elucidated. The production of ethanol occurs when the yeast cells hydrolyze sucrose into glucose and fructose as well as when acetic bacteria break down glucose to gluconic acid and ethanol. This helps elucidate why one of the recorded effects of Kombucha is “reducing alcoholic’s craving for alcohol.” Yet when you are selling a product on commercial shelves the problem becomes clear: just how much alcohol do these drinks contain? Because Kombucha is technically neither food nor drug, the FDA has no regulatory power, but in 1995 they did investigate the death of one woman and almost-fatal hospitalization of another who had been drinking home-brewed Kombucha from the same “mother” mushroom. They have also stated that pasteurizing the product would help reduce the dangers of variable bacteria and alcohol content. However while one brand, Kombucha Wonder Drink, does pasteurize their products for safety, the processing kills the live cultures and bacteria believed to give Kombucha its antimicrobial and antioxidant power, thereby killing its social value. “GT Dave’s” story about his mother’s cancer was highlighted for exuding “authenticity,” even though the story is arguably untrue. While research states that core health and wellness consumers pride themselves on “intense scrutiny of brands and their claims,” consumers also want “real and clean foods and beverages” to treat and prevent disease. And that authentic wellness ideal is exactly the niche market that Kombucha fits into. Belief in a folk remedy, especially during a time of failing health, can be a much stronger form of advice than a professional source, even one with evidence-based research behind him. In addition, more and more consumers don’t feel they need science to teach them about nutrition. But with a product like Kombucha, it is a thin line between an expensive bottle of sparkling tea and a potential negative health outcome. What was a niche market has grown to over $300 million as of 2010, meaning that even without the scientific evidence, the products are selling. 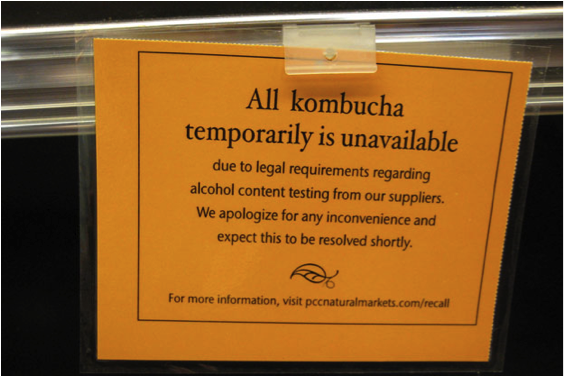 In this era of real, clean food, “scientifically proven” has lost some value within certain social realms, and the claims associated with Kombucha appear to be sending this product into a successful future. Katie Andrews is a 2nd year Nutrition Communications student finishing her last semester at the Friedman School. An avid blogger, future registered dietitian, and commenter on all controversial things nutrition, you can find her at http://www.theaspiringrd.com. IF YOU RELY on sources in the USA to give you the facts…good luck. Pharmacy is in charge of most so called research, and are the source of most ” fear-mongering” slams against natural products. Look to Europe, unfortunately for more substantive info. This was a really informative and important piece. Kombucha is still as popular as it was when this was written and the misleading health claims you mention still persist. I recently wrote a critical review of the existing research on Kombucha and there is still no evidence for any “health benefit” to this day: https://healthybutsmart.com/kombucha-health-benefits/ – thanks for a well informed article.